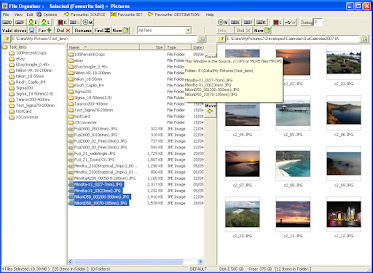 FileOrganiser is a Windows Explorer replacement, easy file organizer software that helps you to manage files and folders more effectively. The main difference between Windows Explorer and FileOrganiser is that this uses 2 panes directory manager and has ‘bookmarks’ organizer. Two panel directory manager allows you to browse more then one folder simultaneously, makes it simpler to copy from one directory to another and find and compare folders files. More accessible ´find´ or search function. Camera and USB pen detection. autodetects folder where your photos are. Info button, to find out where all the disk space is used. Save file/ folder structure to a text file, so this can be printed. Save to an html document your favourite internet links. (from Internet Explorer) This can then be uploaded to your Web site.